Made from 100% soft style cotton. 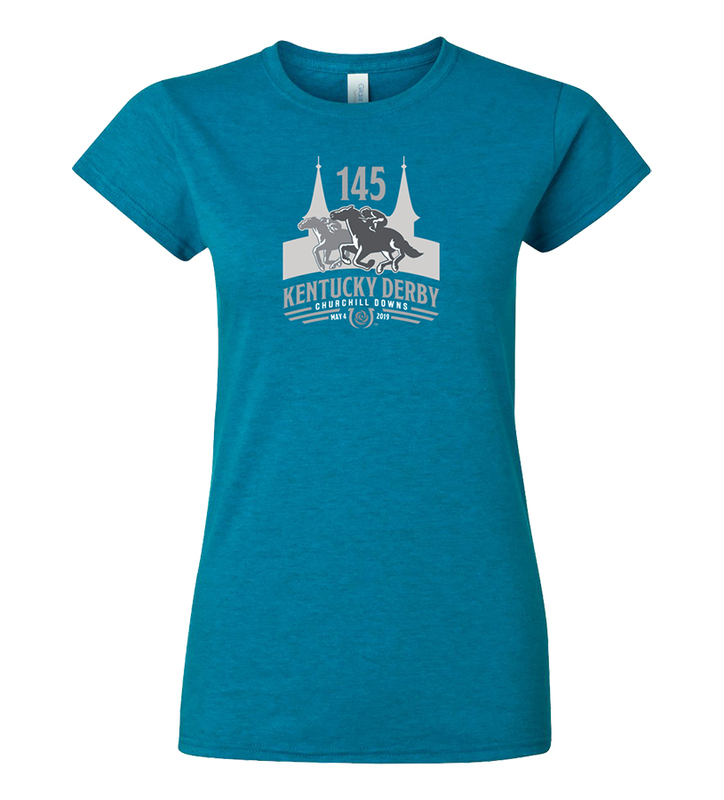 Printed with the official Kentucky Derby 145 logo in grayscale tonal design. Available in heliconia or sapphire in ladies sizes S-XXL.